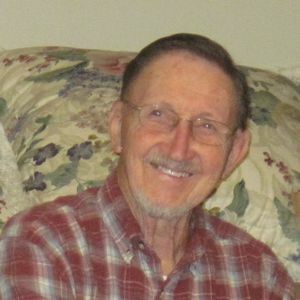 CALHOUN - Billy Ray Frizzell, 77, of Calhoun, died Monday, April 21, 2014 at Owensboro Health Regional Hospital. Mr. Frizzell was born September 17, 1936 in Livermore. He was a night watchman at TVA, and was of the Pentecostal faith. He was a U.S. Army veteran, and member of the National Guard. He was preceded in death by his sister, Glenda Joy Thompson. Survivors include his wife of 56 years, Judy Ashton Frizzell; daughter Yvonne Frizzell of Calhoun; son Randy (Amanda) Frizzell of Calhoun; grandchildren Travis Hanberry, and Austin and Alec Frizzell; five step-grandchildren; and sister Betty Ann Shirley of Lakewood. Funeral services will be Thursday, April 24, 2014 at 1:00PM at Livermore Christ Gospel Church, with Rev. Bruce Mason officiating, assisted by Rev. Van Ashton. Burial in Calhoun Cemetery. Visitation will be Wednesday from 4-8PM at Tucker Memorial Chapel in Sacramento. Mr. Frizzell will lie in state on Thursday after 10:00AM at Livermore Christ Gospel Church. Online condolences may be made at www.tuckerfuneralhomes.com. what a wonderful man no one could fill his shoes. he loved the lord. he could pay his steel guitar. was always nice giving person loved every one he met. R. I. P. PROUD TO CALL HIM MY BROTHER. now u r in heaven where there is peace joy and love. We are sorry that we can't be there. We know God is there. Thanks for the good memories. Sunburned from riding in the convertible, saving my life, fishing, fourth of July, and laughing and laughing and laughing. Of all the years I knew Billy Frizzell, I never saw him angry or unkind. He was a wonderful man of God and was loved by all who had the pleasure of knowing him. Sister Judy, Randy and Yvonne. We. Can't be there in person but our thoughts, prayers and our love is definitely with you in spirit. We love you so Sister Judy. Brother Billy is playing steel with the elite in heaven now. Judy, Yvonne, Randy and family..I'm so sorry to hear about Billy passing. I've always thought so highly of Billy. He always had a smile and a kind word. I know he is in heaven rejoicing with Jesus. Praying for all of you to feel God's love surrounding you as you go through this time of great sorrow.